Review contains spoilers for book one and two in the series. When she was chosen to compete in the Selection, America never dreamed she would find herself anywhere close to the crown, or to Prince Maxon's heart. But as the end of the competition approaches, and the threats outside the palace walls grow more vicious, America realizes just how much she stands to lose, and how hard she'll have to fight for the future she wants. America is still living within the palace walls and the girls who remain in the running for Prince Maxon's affections, has been reduced to four with no clear winner. As Maxon continues to date each girl, the unrest outside the palace walls continues as the Southern rebels fight to obtain power. The palace resources are stretched to the limit with extra guards being stationed at each family home, including Aspen, America's former love who now guards the palace. But America knows with the King is on his last nerve and is ready to force America from the contest, she's too wild, too outspoken and he expects Maxon to keep her in line. But as America takes a stand against the palace and it's outdated beliefs, her popularity soars and she becomes the link between the palace and it's people. But as the contest is in danger of being disbanded at the hand of the King, a new group of Rebels is emerging. The Northern Rebels are trained, but unarmed. They want the Caste system removed, they want a fair society and they want America to become Queen. But when the war being waged is fought inside the palace walls, not everyone will survive. Secrets will be revealed and blood will be shed in what may be the last Selection. Maxon needs to make his choice, but with Aspen still willing for put his life on the line for her, who will America choose? I've loved The Selection series, and although I'm sad to say goodbye, it ended on a beautiful and heartwarming note. The series follows America, a girl who society deems you by a number. You number represents who you are, where you live and whether or not you go hungry. A system that awards the wealthy and strips the down and out bare. When she's chosen as one of The Selected, it's her family's chance to move up the ranks, ensuring their children are cared for. Prince Maxon will choose a bride from thirty five girls, the educated, the wealthy and for good show, the poor. It's a mix between an arranged marriage and finding a subservient girl, something America can boast she knows nothing about. Although occasionally America seems to complain a little too often, she's a likable heroine. She reluctantly agreed to The Selection in order to provide for her family. She's tough and I loved seeing her grow into a young woman who stood up for what she believed in. Maxon. Oh, Maxon. He's dashing, but at times he seems far too weak to rule. I needed him to stand up to his father, who continued to threaten America and created situations not only to embarrass her, but to show that she isn't capable or worthy of being chosen. Without America, Maxon doesn't have the backbone he needs to abolish the caste society, but luckily she's strong and sassy enough for the both of them. Where the action was lacking in book two, it more than makes up for it in The One. The final few chapters were read with my breath held at times, not being able to turn the page fast enough. I begun to dread the fatal final book disappointment, but Kiera Cass constructed a story with her readers foremost in her thoughts. It was a fantastic series finale that left me overjoyed, a little teary but most importantly, fulfilled. I skimmed your review as I haven’t read the first too but holy god this makes me want to! Everything sounds so so good and if you read it so fast it must be good! I'm a sucker for finales Katie, it's almost a double edged sword. Over half of the finales I've read have Bern such a letdown, but this wasn't. It might have lacked any real substance, but made up for it in emotion. Can't wait to see what you think of The Selection. Thanks Laura, it was a beautifully fitting end wasn't it. I would have loved to have seen a bit more rebel action and more from the New characters. Perhaps there might be a spin off, would love to see that. Really like the Northern Rebels. I only read the first two books because of the covers. XD I did not particularly love them, but I'm glad that the series ends in a wonderful note. I'll definitely check this one out in the future. I assume she ends up with Maxon? Because I could totally go for that. Although I'd love to know how that happened and how Kiera Cass reconciled the ending with what I've read in the past. You're review has left me hopeful about this one. Ooh, she may or may not. Let's just say that it's super tense until the end. Whichever team you support, Maxon or Aspen, I think fans will be left happy and satisfied. I let all the drama a few years ago put me off The Selection and therefore the rest of the series, but seeing as you mentioned that this is a trilogy that ends well, it makes me want to give these books a go! Drama? What happened? I'll have to go Googling. I haven't heard of anything. Probably a good thing though, I really enjoyed the series, but really intrigued and want to find out what the drama was all about now. Might have to stalk you for information now Mands. Glad to hear that the series ended up on a high note Kelly! I still haven't picked up The Selection yet, but I'm glad it picks up after middle book syndrome. Should I read this series? Because...I don't know. I feel like it's similar to Matched? Like others here, I'm glad to see you loved the finale :) For me, the finale book is the most important of the lot, and it is my belief it should always end with a bang, because that's how you usually remember series, right? In any case, I'm kind of sad that Maxon is a wussy, but at least America was strong for both of them. Girl power! It's fantastic to hear this has been such a good series for you, and that this, the last book, ended so well is just excellent! When a series is consistant it's just wonderful, especially when there is so often a book where it slips a little. I've heard about a lot of issues with America, but it's good that you enjoyed how things worked out with her! Great review! I'm glad this was a fulfilling ending! 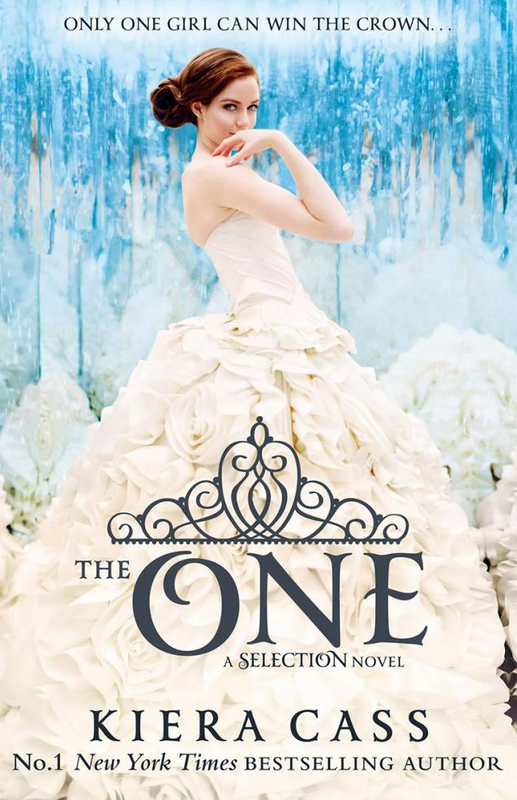 I remember 2 years ago 'The Selection' was possibly the most talked about book in the blogging community, but due to the mass amount of negative reviews and also opinions from close friends of me, I decided not to read it. (Although I did read the first few chapters and they weren't to my liking.) It's great that you really enjoy the series though and what a wonderful feeling it is to not be disappointed by the finale of a series we love!